Coln Valley Renovations Ltd - Carpenter, Kitchens based in Fairford, Gloucestershire. 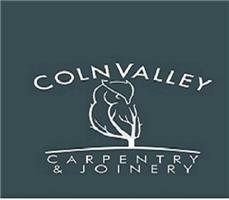 Welcome to Coln Valley Carpentry and Joinery Limited. We offer a friendly and reliable service on a wide range of Carpentry & Joinery domestic ,commercial and complete renovation projects ,guaranteed quality workmanship. We have a combined experience of over 20 years in Carpentry Joinery and Cabinet making with full workshop facilites. Based in Poulton,Gloucestershire we work within a 30 mile radius. My name is samuel, I have over 10 years myself in Carpentry and Joinery experience. I was a Mechanical Precision engineer working in the aerospace industry for just over 10 years. I have a long line of family members in the building and construction industry who have helped me become what I am today. My Name is Byron, with over 13 years experience, I have worked in a veriety of woodworking trades from carpentry and joinery to Fine Furniture. in all aspects of woodwork.